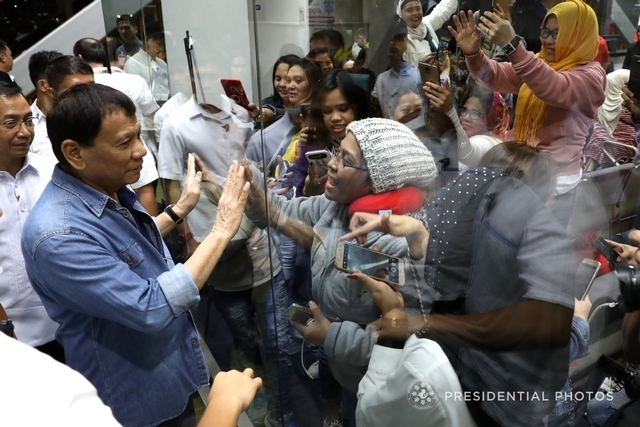 After the discovery of the body of the Overseas Filipino Worker (OFW), Joanna Demafelis, in a freezer in Kuwaiti, President Rodrigo Roa Duterte imposed a total deployment ban to Kuwaiti, due to the fact that the dignity and safety of the Filipino people are worth more than the money that they bring into the Philippines. In line with Duterte’s sympathies for the OFWs in Kuwait, the Department of Foreign Affairs are said to shoulder the OFWs ticket back to the Philippines. One of the most recent instances of this was the 9:25pm arrival of the Etihad Airways flight EY 428 that carried 70 OFWs back home. With the inhumane maltreatment of the Kuwaitis towards the Filipinos, more than 4,000 OFWs chose to be repatriated back to the Philippines. Justice will almost be delivered to the family of Joanna Demafelis after the Kuwait has sentenced the OFW’s employers to death. "All OWWA members affected by the deployment ban to Kuwait are entitled to receive cash assistance. Cash assistance is PHP5, 000 for active members, and PHP2, 500 for inactive members." "The DFA targets to repatriate 10,000 OFWs until April 22, the deadline for the extension of the amnesty." With the full support of the Duterte and the multiple OFW units, the Modern Day Filipino Heroes are in safe and secured hands. So there is no need to worry for we have Du30.